The Global Risks Report 2016 synthesizes the insights, ideas and contributions of many individuals through workshops, group calls and research. The World Economic Forum is grateful to all who took part in the challenge to think about global risks. Without their dedication, guidance and support, it would not have been possible to develop this Report. The project was led at the World Economic Forum by Margareta Drzeniek Hanouz and The Global Risks Report 2016 team including Gaëlle Marti (Project Manager), Caroline Galvan (Content Lead), Ciara Browne (Partnerships), Attilio Di Battista, and Stéphanie Verin. 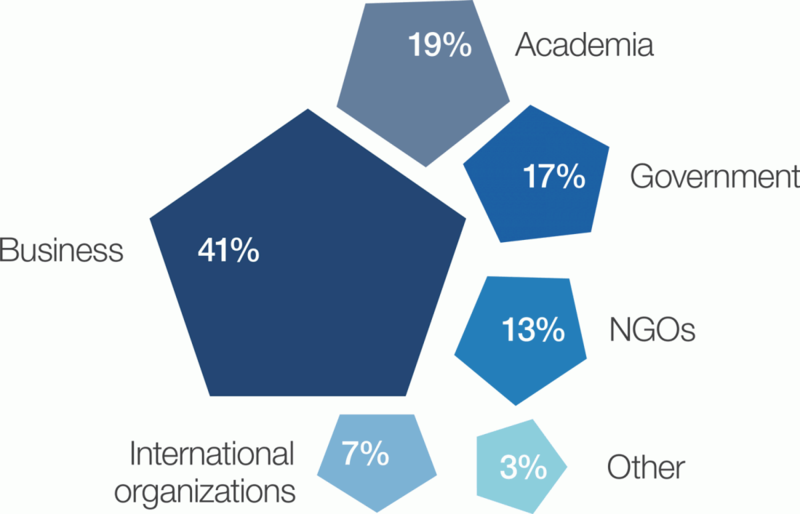 The Global Risks Report 2016 governance is represented by the Steering Board, the Advisory Board and the Activation Board, all of which have provided invaluable input and guidance. A special thank you goes to the participants of the Security Outlook 2030 initiative workshops including the Members of the Global Shapers Community for their unique contributions. Please see the full list of participants at the end of this section. Charles Baubion, Organisation for Economic Co-operation and Development (OECD); Juan Carlos Castilla-Rubio, Planetary Skin Institute and Space Time Ventures; Celine Charveriat, Oxfam International; Stephen Cross, AON Plc; Geza Andreas von Geyr, Federal Ministry of Defence of Germany; Stephane Jacobzone, Organisation for Economic Co-operation and Development (OECD); Trudi Lang; Kirstjen Nielsen, Center for Cyber and Homeland Security; Paul Nicholas, Microsoft Corporation; and Laura Wellesley, Chatham House. David Aikman; Marco Albani; Arnaud Bernaert; Jennifer Blanke; Roberto Bocca; Sebastian Buckup; Denise Burnet; Nicholas Davis; Jean-Loup Denereaz; Margareta Drzeniek Hanouz; Miroslav Dusek; Espen Barth Eide; Diana El-Azar; Paolo Gallo; Julien Gattoni; Malte Godbersen; Mike Hanley; Lee Howell; Jeremy Jurgens; Elsie Kanza; Anja Kaspersen; Martina Larkin; Helena Leurent; Emma Loades; Fon Mathuros Chantanayingyong; Adrian Monck; Olivier Oullier; Gilbert Probst; Pedro Rodrigues de Almeida; Mel Rogers; Philipp Rösler; Richard Samans; Olivier Schwab; Murat Sönmez; Mark Spelman; Terri Toyota; Akira Tsuchiya; Jean-Luc Vez; Dominic Waughray; Alex Wong; Justin Wood; Saadia Zahidi; and Alois Zwinggi. Oliver Cann and Laura Clementi. David Bustamante; Marta Chierego; Kamal Kimaoui, World Economic Forum; and Peter Grundy, Designer, Hope Steele, Freelance Editor; Moritz Stefaner, Freelance Information Visualizer; and Andrew Wright, Freelance Writer. Marisol Argueta de Barillas; Adeyemi Babington-Ashaye; Giancarlo Bruno; Caterina Clifone; Gemma Corrigan; Alexander Crueger; Diane Davoine; Dessislava Dimitrova; Sean Doherty; Lisa Dreier; John Dutton; David Gleicher; Stefan Hall; Tatiana Kalashnikova; Andrej Kirn; Isabelle Lecouls Carbonnier; Emma Loades; Muireann Mageras; Alan Marcus; Viraj Mehta; Stephan Mergenthaler; Fulvia Montresor; Marie Sophie Müller; Alex Mung; Sarita Nayyar; Derek O’Halloran; Bernhard Petermeier; Florian Reber; Sophia Sandström; Jim Snabe; Paul Smyke; Lisa Ventura; Jean-Luc Vez; Regula Waltenspuel; Bruce Weinelt; Shannon Wells; and Alex Williams. The project team is grateful to the 742 respondents to the Global Risks Perception Survey 2015 without whom the production of this Report would not have been feasible. The project team would like to thank the Members of the Global Agenda Council on Risk & Resilience and the Meta-Council on the Illicit Economy for their contribution. Lauren Alexander Augustine, National Academy of Sciences; Stanley M. Bergman, Henry Schein; Michael Berkowitz, Rockefeller Foundation; Edwin Macharia, Dalberg Global Development Advisers; Victor Meyer, Deutsche Bank; Paul Nicholas, Microsoft Corporation, Kirstjen Nielsen, Center for Cyber and Homeland Security; Satoru Nishikawa, Japan Water Agency (JWA); Yuichi Ono, Tohoku University; Sara Pantuliano, Overseas Development Institute; Joe Ruiz, The UPS Foundation; Armen Sarkissian, Eurasia House International;; Dan Smith, International Alert; Elizabeth Hausler Strand, Build Change; Jaan Tallinn, Centre for the Study of Existential Risk; Michael Useem, Wharton School; Nick Wildgoose, Zurich Insurance Group; and Alexander Wolfson, Citi. Adam Blackwell, William J. Perry Center for Hemispheric Defense and Security Studies, National Defense University, USA; Wolfgang Goetz, European Monitoring Centre for Drugs and Drug Addiction (EMCDDA); Steven Simske,Hewlett-Packard Company; Rolf Alter, Organisation for Economic Co-operation and Development (OECD); Hans J. Schwab, Tech Trace SA; Dimitri Vlassis, United Nations Office on Drugs and Crime (UNODC); Christina Bain, Babson College; Anton Du Plessis, Institute for Security Studies (ISS); Steven Broad, TRAFFIC International; Raymond Baker, Global Financial Integrity; Jean-Paul Laborde, United Nations; Jay Cziraky, North Degrees; Linah K. Mohohlo, Bank of Botswana; Gaozhang Zhu, World Customs Organization (WCO); Laura Lane, UPS; and Alan D. Cohn,Georgetown University Law Center. Abdulla Al Basti, The Executive Office, Government of Dubai; Saeed Al Nazari, The Executive Office, Government of Dubai; Carl Benedikt Frey, Oxford Martin Programme on Technology and Employment, University of Oxford; Bastian Bergmann, ETH Risk Center; Yves Daccord, International Committee of the Red Cross (ICRC); Tina Fordham, Citi; Cameron Hepburn, The Institute for New Economic Thinking, University of Oxford; Evgueni Ivantsov, European Risk Management Council; Moncef Klouche, The Executive Office, Government of Dubai; Alexander Leveringhaus, Oxford Institute for Ethics, Law and Armed Conflict, University of Oxford; Robyn Norton, The George Institute for Global Health, University of Oxford; Herbert Oberhänsli, Nestlé; Kazem Rahimi, The George Institute for Global Health, University of Oxford; Claudette Thompson, Cabinet Office; Barry Vaughan, Department of Taoiseach; and Alexander Weis, Royal College of Defence Studies. Sanjay Bhatnagar, WaterHealth International (GAC Water); Juan Carlos Castilla-Rubio, Planetary Skin Institute and Space Time Ventures (GAC Forests); Céline Cousteau, CauseCentric Productions Inc. (GAC Oceans); J. Carl Ganter, Circle of Blue (GAC Water); Sturla Henriksen, Norwegian Shipowners’ Association (GAC Artic); Renat Heuberger, South Pole Carbon (GAC Climate Change); Naina Lal Kidwai, HSBC Asia Pacific (GAC Water); Michael Lodge, General, International Seabed Authority (GAC Oceans); Nick Mabey, Third Generation Environmentalism (GAC Governance for Sustainability); Adil Najam, Pardee School of Global Studies, Boston University (GAC Climate Change); Oyun Sanjasuuren, Member of Parliament of Mongolia (GAC Water); Greg Stone, Conservation International (GAC Oceans); John Tanzer, WWF International (GAC Oceans); Mead Treadwell, LLC (GAC Artic); Gary White, Water.org (GAC Water); and Jan-Gunnar Winther, Norwegian Polar Institute (GAC Artic). Hafsat Abiola-Costello, Government of the State of Ogun; Yoshihiko Aihara, Mitsubishi Heavy Industries; Gemma Aiolfi, Basel Institute on Governance; Fahad Al Binali, Police Force of Bahrain; TalalAl Gaddah, MAG Property Development United Arab Emirates; Moafaq Ahmad Al Gaadah, MAG Group of Companies United Arab Emirates; Luay Al Kattheb, Iraq Energy Institute United Kingdom; Abdulrazzaq Al-Buaijan, Kuwait Investment Authority (KIA); Alanoud Al-Sabah, Kuwait National Security Bureau; Antanas Aleknavičius, Ministry of Defence of Lithuania; Patrick Allman-Ward, Dana Gas PJSC United Arab Emirates; Andreas Alnes, Statkraft AS; Suad Alshakrani, Bahrain Mumtalakat Holding Company BSC (c); Husodo Angkosubroto, PT Gunung Sewu Kencana; Rashyid Redza Anwarudin, Sime Darby Berhad; Doug Arent, National Renewable Energy Laboratory; Jon Arons, FTI Consulting; Nigel Aston, Amadeus IT Group SA; Ida Auken, Parliament of Denmark (Folketinget); Dionysia-Theodora Avgerinopoulou, Circle of the Mediterranean Parliamentarians on Sustainable Development; Ronit Avni, Just Vision; Bahruz Bahramov, State Oil Fund of the Republic of Azerbaijan (SOFAZ); Evelyn Balais-Serrano, Asian Forum for Human Rights and Development; Baldeo P. Banka, Ispat Indo PT; Anat Bar-Gera, Yoo Mee Africa; Mehdi Barhkhodar, MKS PAMP Group; Julien Barnes-Dacy, European Council on Foreign Relations; AnaBarresi, Proyecto Indigo; Maricel Barros, Phillippine National Police; Katinka Barysch, Allianz SE; Biza Barzo, Institute of Regional and International Studies (IRIS); Raymond J. Baxter, Kaiser Permanente; Rod Beckstrom, Rod Beckstrom Group; Sebastian Bellagamba, The Internet Society (ISOC); Erik Berglöf, London School of Economics and Political Science; Andrey Beskodarov, PAO LUKOIL; Carl Bildt, Former Prime Minister of Sweden; Rajiv Biswas, IHS; Adam Blackwell, Organization of American States; David Boehmer, Heidrick & Struggles; Jesper Boll, Gulftainer Company Limited United Arab Emirates; Ian Bond, Centre for European Reform; Juan Boulos, Consolidated Contractors Company; Steven Boutelle , CISCO; Ernest Bower, Center for Strategic and International Studies; Karl Bream, Alcatel-Lucent; Binta Brown, Fermata Entertainment; Juan Carlos Pinzón Bueno, Ministry of National Defence of Colombia; Nilda Bullain, International Center for Not-for-Profit Law; Mely Caballero-Anthony, Nanyang Technological University; Corina Calugaru, Ministry of Foreign Affairs and European Integration of Moldova; Jack Campbell, Marsch and Mclennan; Jose Manuel Carrera, PMI Comercio Internacional SA ; Jain Chaitan, IATA; Kamala Chandrakirana, Indonesia untuk Kemanusiaan; Ilias Chantzos, Symantec Corporation; Mushtaq Chhapra, Citizens Foundation; John Chipman, The International Institute for Security Studies; Jackie Cilliers, IIS South Africa; Noel Clehane, BDO International Ltd; Alan D. Cohn, US Department of Homeland Security; Jean Francois Condamine, UPS United Arab Emirates; James Cottrell, Deloitte LLP; Stephen D’Esposito III, RESOLVE; Martyn Davies, Frontier Advisory Pty Ltd; Ilona Szabo de Carvalho, Igarapé Institute; Rafael Fernandez de Castro, Instituto Tecnologico Autonomo de Mexico; Cedric de Coning, Norweigan Institute of International Affairs; Nishan Degnarain, Mauritius Government; Susi Dennison, European Council on Foreign Relations; Ghislain Desjardins, DuPont Products SA United Arab Emirates; Edmund DiSanto, American Tower Corporation; Dino Patti Djalal, Deputy Foreign Minister, Republic of Indonesia; Erika Dominguez, Sixsigma Networks México; Stephen C. Donehoo, McLarty Associates; Kathryn Dovey, Organisation for Economic Co-operation and Development (OECD); Richard Dowdon, Royal African Society; Florin Druga, Romanian Intelligence Service; Anton du Plessis, IIS South Africa; Anthony Dworkin, European Council on Foreign Relations; Toby Edwards, Agility; Peter Eggleston, Chevron Asia Pacific Exploration & Production; Amel Benchikh El Hocine, The Dow Chemical Company Algeria; Wael El Kabbany, BT Group Plc United Arab Emirates; Amanda Ellis, New Zealand Ambassador to UN; Dominic Emery, BP Plc; Arnaud Erbin, GDF SUEZ; Jonathan Eyal, Royal United Services Institute; Ulrik Federspiel, Haldor Topsoe A/S; Marco Fiorese, The Monaco-Asia Society; Peter Florenz, Henkel AG & Co. KGaA; Jim Freeth, JPMorgan Chase & Co United Arab Emirates; Hor Wuen Fung, Weatherford International; Li Fuzhen, Little Bird Hotline for Migrant Workers; J. Carl Ganter, Circle of Blue; James Gifford, Harvard University; Elissa Golberg, Foreign Affairs, Trade and Development Canada; Pinchas Goldschmidt, Conference of European Rabbis; TamurGoudarzi-Pour, Lufthansa German Airlines United Arab Emirates; Kjell Grandhagen, Norwegian Intelligence Service; Sam Gregory, WITNESS; Jesse Grossman, Community Bucket; Jean-Marie Guehenno, International Crisis Group; Ahmed Hamzawy, BT Group Plc United Arab Emirates; David Harland, Centre for Humanitarian Dialogue; Andrew Harper, United Nations High Commissioner for Refugees; Rick Hathaway, Habitat for Humanity International; Gary Haugen, International Justice Mission; Richard Haythornthwaite, Mastercard; Renat Heuberger, South Pole Carbon; John Hewko, Rotary International; TerryHeymann, World Gold Council; Seema Hirani, DuPont Products SA United Arab Emirates; Bill Hughes, TIBCO Software Inc.; Jonathan Ibbott, XL Catlin; Ahmad Iravani, Center for the Study of Islam and the Middle East; WolfgangIschinger, Munich Security Conference ; Majid Jafar, Crescent Petroleum United Arab Emirates; Sir Mohammad Jafar, The Kuwaiti Danish Dairy Company KCSC, Kuwait; Chaitan Jain, International Air Transport Association (IATA); Kil Jeong-Woo, Member of Parliament, Republic of Korea; Mahmoud Jibril, Leader of the National Forces Alliance; Haythem Jlassi, Armed Forces of Tunisia; Lars Jannick Johansen, The Social Capital Fund; Bruce Jones, The Brookings Institute; Yoko Kamikawa, Ministry of Justice of Japan; Ajay Kanoria, Kanoria Group; Robert D. Kaplan, Stratfor; Dennis Karpes, Naga Foundation; J. Randall Kerr, Caterpillar Inc.; Sanjeev Khagram, Occidental College; Parag Khanna, New America Foundation, Singapore; Sirilaksana Khoman, National Anti-Corruption Commission of Indonesia; Nomo Khumalo, Henry Schein Inc.; Ms Shoko Kimjima, Lixil Corporation ; Marion Kipiani, Norweigian Helsinki Committee; John Knight, Statoil ; Kadiatou Konate, Minitry of Foreign Affairs, African Integration and International Cooperation of Mali; Khalid Koser, Global Community Engagement and Resilience Fund; Michael Krobok, Department of Security Policy, Federal Government of Germany; André Kudelski, Kudelski Group; Umit Kumcuoglu, Kare Yatirim; Josh Kurlantzick, Council on Foreign Relations; ScottLammie, University of Pittsburgh Medical Center – Health Plan; JoshuaLandis, University of Oklahoma USA; Maged Latif, HSBC United Kingdom; Nadiah Hanim Abdul Latif, Sime Darby Berhad; Todd Lauchlan, Jones Lang LaSalle; Seung Bok Lee, Air Force of the Republic of Korea; Mark Leonard, European Center for Foreign Policy; Rob Leslie, Sedicii; Daniel Levy, European Council on Foreign Relations; Geoffrey Lipman, International Coalition of Tourism Partners; Clare Lockhart, ISE; Nick Mabey, E3G, Third Generation Environmentalism; Otto Malmgren, Norwegian Ministry of Foreign Affairs ; Felix Maradiaga, Pioneer Capital Partners; Valerie Marcel, Chatham House; Robert Mardini, International Committee of the Red Cross; Hector Marquez, Manpower Group; Thom Mason, Oak Ridge National Lab; Tatsuo Masuda, Nagoya University of Commerce and Business Graduate School; Luis Maza, Kio Networks; Tito Mboweni, South Africa Reserve Bank (SARB); Rory Medcalf, Australian National University; Souad Mekhennet, The Washington Post; Ricardo Meléndez-Ortiz, International Centre for Trade and Sustainable Development; Gerard Meuchner, Henry Schein Inc.; Melody Boone Meyer, Chevron Corporation; Takashi Mitachi, Boston Consulting Group; Viktoriia Mizerna, Ministry of Internal Affairs of Ukraine; Michael Moller, Head of the United Nations in Geneva; Robert Mood, United Nations Supervision Mission in Syria; Justin Moore, Axcient; Moosa Al Moosa, The Dow Chemical Company United Arab Emirates; Gemma Mortensen, Crisis Action; Amr Moussa, Former Secretary-General of the Arab League; Robert Muggah, Igarapé Institute; Karim Nabulsi, Deloitte Jordan; Yoshinobu Nagamine, International Committee of the Red Cross (ICRC); Chandran Nair, Global Institute for Tomorrow; Raman Narayanan, Air Asia; Nasser Nasser, Middle East Scientific Institute for Security; David Nbarro, UN Special Envoy on Ebola; Hellen Ndwiga, Kenya Police Service; Jonas Neihardt, Hilton Worldwide; Robin Niblett, Chatham House; Kirstjen Nielsen, Center for Cyber and Homeland Security; Helen Alderson Reat Noch, International Committee of the Red Cross (ICRC); Victor Ochen, African Youth Initiative Network-Uganda; Kenichi Oki, Mitsubishi Heavy Industries Ltd; George Ombima, IFC Asset Management Company LLC; Mina Oraibi, Asharq Al-Awsat Newspaper; William Overholt, Fung Global Institute; Christine Ownell, Owenell Global Consultancy; Anju Patwardhan, Standard Chartered Bank; Eliot Pence, McLarty Associates; Robert Pepper, Cisco; Peter Phillips, PT Marsh Indonesia (MMC); Katarzyna Pisarska, European Academy of Diplomacy; Wim Plaizier, A.T. Kearney (Pty) Ltd; ToddPlatt, Hillwood; Arthur Nigel Pont, Mercy Corps Lebanon; Vijay Poonoosamy, Etihad Airways; Brillianti Putri, Ministry of Foreign Affairs of Indonesia; Arjen Radder, Royal Philips United Arab Emirates; Hilal Rahim, Afghan Ministry of Foreign Affairs; Aashmi Rajya Lakshmi Rana, Educomp Solutions Ltd; Karim Raslan, KRA Group; Douglas A. Rediker, Peterson Institute for International Economics; Nicola Reindorp, Crisis Action; Neil Reznolds, CH2M HILL United Arab Emirates; Nilmini Rubin, US House of Representatives Committee on Foreign Affairs; Ruediger Ruediger, University of Vienna; Dina Sabry, Egyptian Ministry of Foreign Affairs; William H. Saito, Cabinet Office of Japan; Ghassan Salame, Universite des Sciences Politiques, Paris Sorbonne; Razeen Sally, National University of Singapore; Sir John Sawers, Former Chief of the UK Secret Intelligence Service; Juan Pedro Schaerer, Relegación Regional del CICR para México, América Central y Cuba, International Committee of the Red Cross (ICRC); John Christian Schandy, Schandy; Michael Schroeder, Royal Belgian Armed Forces; Robyn Scott, Brothers for All; Demba Seck, Customs Administration of Senegal; Susan L. Segal, Council of the Americas; Chris Seiple, Institute for Global Engagement; Sergei Sereda, OJSC PhosAgro; Nasreen Seria, Bloomberg News; Ramesh Shivakumaran, Gulftainer Company Limited United Arab Emirates; Landry Signe, Stanford University; Tove Sjøblom, Statoil ASA; Silje Skogstad, Deutsche Post DHL Group; Dan Smith, Stockholm International Peace Research Institute; Natalia Soebagjo, Transparency International; Dario Speranza, Eni SpA; Rajesh Kumar Srivastava, Jubilant Bhartia Group; Jürgen Stock, INTERPOL; Olga Stoliarchuk, Schoenherr Ukraina LLC; Jens-Christian Stougaard, Pension Danmark; Timur Sukirno, Hadiputranto, Hadinoto & Partners; Malek Sukkar, Averda Lebanon; Paul Surprenant, Mercer; Hiroyuki (Bob) Takai, Sumitomo Corporation Global Research Co. Ltd; Pavlo Tanasyuk, BlockVerify; Yana Buhrer Tavanier, Fine Acts; Simon S. Tay, Singapore Institute of International Affairs (SIIA); Jim Thomas, Zurich Insurance; Andrew Thomson, Acciona; Pingtjin Thum, University of Oxford; Oscar Adolfo Naranjo Trujillo, Minister of Post Conflict of Colombia; Magdalena Trzpil-Halota, Polish Ministry of Defence; Givi Tsagereishvili, Georgian Ministry of Internal Affairs; Bert Turner, Digital Globe; Sergey Vakulenko, JSC Gazprom Neft; Anshu Vats, Oliver Wyman (MMC) United Arab Emirates; Ravi Kumar Vennelaganti, Crescent Enterprises United Arab Emirates; Stefano Vescovi, Federal Department of Foreign Affairs of Switzerland; Mark Vlasic, Georgetown University; Joerg Volkmann, German Armed Forces; Siobhan Walsh, Concern Worldwide US; WeiWei, Little Bird Hotline for Migrant Workers; Alice G. Wells, US Ambassador to Jordan; Achim Wenmann, Geneva Peace-building Platform; Andre Wilkens, Rainbow Minerals; Abiodun Williams, Hague Institute for Global Justice; Nick Witney, European Council on Foreign Relations; Lee Xiaodong, China Internet Network Information Center (CNNIC); Wu Xinbo, Fudan University; Yasuyuki Yamaji, Mizuho Bank Ltd; Helena LiYan, Trina Solar Ltd; Takashi Yao, Marubeni Corporation; Bo Ram Yi, Old Dominion University; Mohamed Bihi Yonis, Ministry of Foreign Affairs and International Cooperation of Somaliland; Lamberto Zannier, Organization for Security and Cooperation in Europe (OSCE); Almira Zejnilagic, FTI Consulting; Lassina Zerbo, Preparatory Commission for the Comprehensive Nuclear-Test-Ban Treaty Organization; and Daniel Zovatto, International Institute for Democracy and Electoral Assistance.